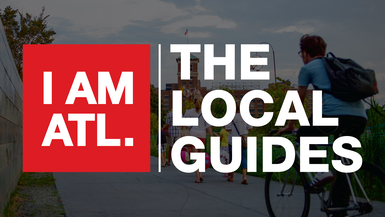 Discover Atlanta through its local artists, vibrant neighborhoods and innovative scene. In this “Music Voyager” episode, see why Atlanta is a place of originators, innovators and rebels. Featuring collaborations between Octopus Bar, 8Arm and Paris on Ponce; Atlanta BeltLine and Karcheik Sims-Alvarado, Ph.D’s outdoor exhibit on Atlanta’s civil right movement, Tiny Doors ATL; the Atlanta Film Festival, Plaza Theatre and Dad’s Garage; Music producer Kawan Prather, aka KP the Great, and rapper Kap G.